❝ In many ways the Big Wave Risk Assessment Group (BWRAG) Safety Summit on the North Shore of Oahu was different from other risk conferences I’ve attended. Risk conferences are usually my domain (I am a retirement economist, after all). Everyone (but me) was tan and in excellent physical shape. Most wore shorts, T‑shirts, and flip-flops. The day included workshops on holding your breath led by deep-sea divers. Former Special Forces officers instructed us on how to tie a tourniquet and perform an emergency tracheotomy with a pen. At one point, someone used the word gnarly, but as a technical term. I even renewed my CPR certification. 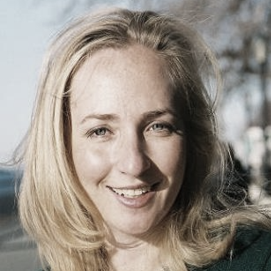 ALLISON SCHRAGER is an award-winning journalist at Quartz & author of An Economist Walks into a Brothel.. Watch her discuss "Taking Risks in a Changing Economy" below, and learn more about booking Allison for your next event today.